This guide is primarily created for owners of Cherry Mobile Flare S who need help in switching their phone to sleep/wake up mode. One way to lock the phone is by switching it to sleep mode. When Sleep mode is enabled on the Flare S, it suspends the device to a low power consumption state. It's one way to prolong the phone's battery life. Typically, the phone automatically switches to sleep mode when the display turns off after a certain period of time, depending on the phone's display settings. In order to switch to sleep mode, just gently press the Power button. Do the same to Wake Up or activate the handset's screen display. 2. Touch to select Display option. 3. Touch Sleep to get to the sleep settings configuration screen. 4. Choose Time and select from the given period of time for the phone to switch to Sleep mode. 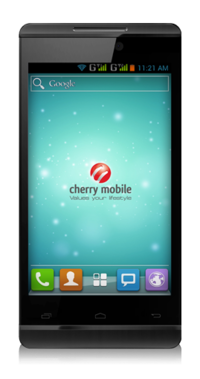 While Cherry Mobile Flare S is among the cheapest smartphone variants in the Philippines, it integrates high-end functions and features with a 4-inch IPS capacitive WVGA touch panel screen, an 8.0 megapixel camera and 1.3 quad-core processor that offers seamless multi-tasking on the phone. As for the operating system, the Flare S runs on Android 4.2 Jelly Bean, Android's lasted operating system. Having this said, the Flare S is definitely not just a middling smartphone.